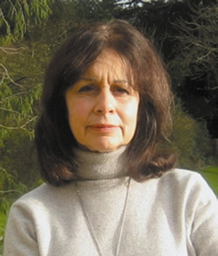 Ghada Karmi is an honorary research fellow at the Institute of Arab and Islamic Studies. She is a Palestinian born in Jerusalem, but spent most of her life in Britain, where she studied medicine and initially practised as a physician. She specialised in public health and attained consultant status in 1989. Her special interest was in the health and social conditions of ethnic minorities, migrants and asylum seekers. As such, she established and was the head of the first NHS Ethnic Health Unit in Britain. She carried out several in-depth studies of migrant groups, including the Moroccan and Egyptian communities in London. Between 1972 and 1979, she worked on medieval Islamic medicine, in which she attained a Ph.D. from London University, and has continued to carry out research in this field.